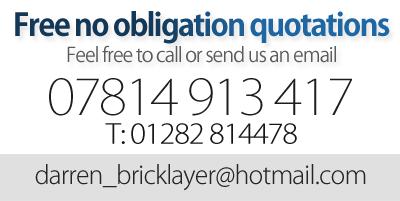 Here at Darren Smith Bricklayer we cover all aspects of building. I will guarantee a job well done and ensure the job is completed and up to the highest standard. If you need my services I will be happy to help just don't hesitate to call. Please contact us today for all of your building needs. We look forward to hearing from you soon.